Today, while I was on my male avatar, I decided to propose to my BFF and she said yes! I was so excited that I picked her up and put her on my shoulders as I celebrated. I have never been as happy and I hope everyone will get the chance in their lifetime to experience that kind of joy! :-P Kidding aside, this "We're getting hitched" pose is by Lil'Bug and is currently featured at the Premium Only Event. I also have here some low prim mesh furniture by Ideza and Frayed Knot which are currently featured at the Roulette Event. 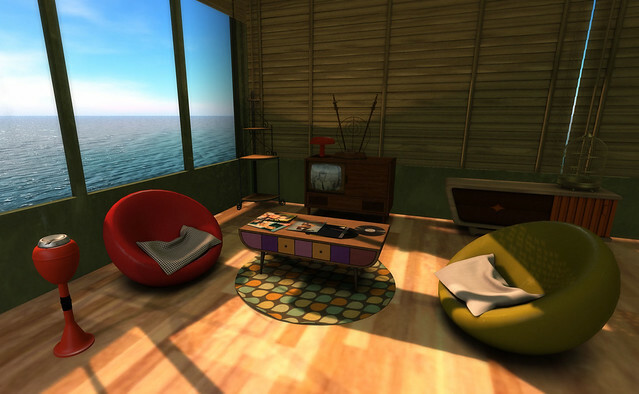 Most of these furniture pieces come with only 1-3 LI and would be a great addition to home displays with limited prims. The Roulette event is ongoing right now and will end on 23rd of April. I will blog more male freebies while I can.